If you need efficient and cost-effective tree maintenance services, call Fort Smith Tree Care. Fort Smith Tree Care exemplifies the pinnacle in professional tree care. Our customized, exclusive services use traditional elements to make your property look neat and clean. We have been in business for many years. Therefore, we know how trees grow, and how to help them to provide optimal growth and strength. 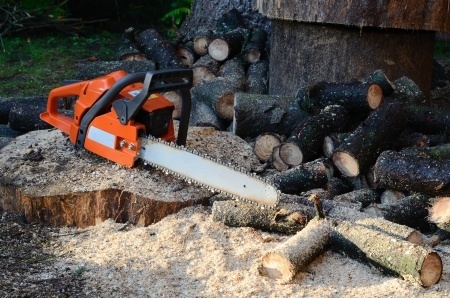 Whether it is tree cutting or tree trimming, our objective is for you to be completely satisfied with any of our services. Our tree care specialists will not leave your residential or commercial property until all components of your project have been met. 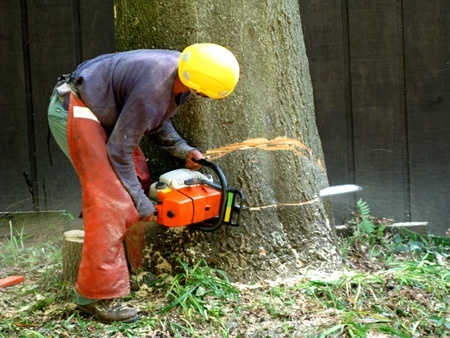 We possess the ability to handle any kind of tree service you may require. We utilize state-of-the-art methods and equipment, from saws to safety gear, from trucks to lifts. Our company prides itself on being a positive part of the Fort Smith, AR and River Valley community. Regardless of your tree care needs, our teamwork begins with your phone call. If you are looking for a Fort Smith, Arkansas tree care company that delivers quality workmanship, get in touch with Tree Care Fort Smith. For years, Fort Smith Tree Care has been serving the Fort Smith area with full-service tree maintenance services. Our goal is to cater to the needs of our customers using the safest and most advanced methods in the industry. No job is too big or small for our company. We treat every customer with the same respect. We strive to be the best Fort Smith tree service and to continue to deliver affordable services, from emergency tree care to hedge trimming. Our arborists will diagnose your trees and provide comprehensive solutions to preserve your beautiful landscape. We are licensed and insured. Our skilled crew members are passionate about the River Valley and their western Arkansas community, and they care for each residential and commercial property as if it were their own. Whether we are removing a tree from your property or trimming a special ornamental tree, we continue to do all we can for total customer satisfaction through safety, dependability, and knowledge. Our company focuses on good ethics, honesty, and educating the Fort Smith community on why proper modern arboriculture is so important to each of us. We are constantly keeping up with technology and changes in our profession. Your satisfaction is our number one priority. Over the years, Fort Smith residents have come to rely on our extensive experience to handle their unique problems. They appreciate the way we get the job done right the first time. We will handle storm cleanups to yard beautification jobs. Our commitment and depth of experience are unmatched by any of our competitors. If you want the best tree care contractor in Fort Smith, AR and the surrounding areas, consider Fort Smith Tree Care. As the leading company for tree care and removal in Fort Smith, AR, Fort Smith Tree Care ensures the highest tree care standard for our customers. We promise to handle any requests you have with world-class workmanship. From emergency service to branch cutting jobs, we deliver professional and safe work. We know that sometimes problems within a tree is so advanced that they necessitate being cut down. Tree cutting is necessary when a tree is dead, becomes a hazard to people and property, or you want to replace it with more desirable foliage. 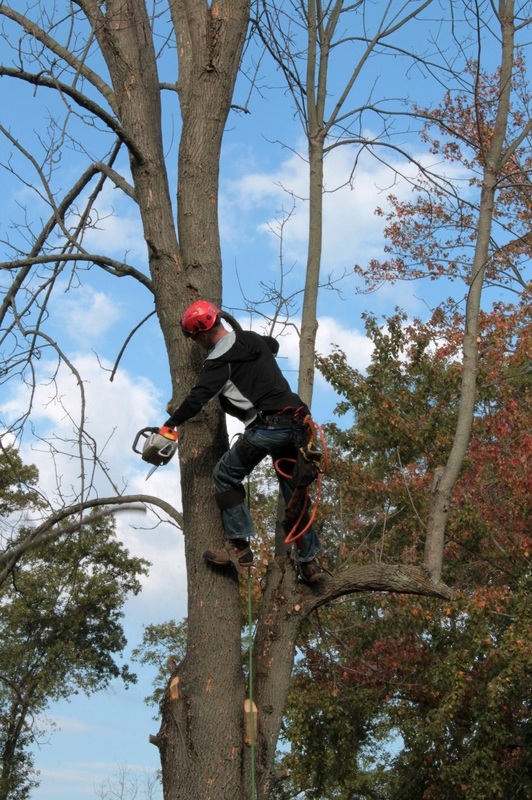 Our crew is trained to evaluate issues and problems in trees to determine if a removal is needed. They use innovative tree care machinery and skills to cut the tree down quickly and safely. In addition to tree cutting, we also provide tree care services that includes pruning for health and aesthetics. We will create a daily spectacular view for you when you hire us for tree maintenance work. Our Fort Smith arborists possess many years of experience in the tree care business. After cutting down your tree, we haul away all the debris. The end result is a property that is clean and beautiful. Regardless if your tree is big or small, our business has heavy duty equipment that is designed to handle large and difficult jobs. If you need a tree cut, trimmed, or pruned, we have got you covered. We can cut and care for a tree anyway you want it. We will help you resolve what needs cutting, as well as inform you as to how tree cutting will influence the development and life span. Tree cutting and pruning helps to promote a longer life cycle and healthier tree. If you are in need of expert tree care services, ask us! At Fort Smith Tree Care, comprehensive pricing and customer service is our number one priority. As the principal business for tree maintenance in Fort Smith, AR, we are unmatched in our level of excellence. With our tree care service, we use state-of-the-art equipment to deliver fast, friendly professional service with no down time. 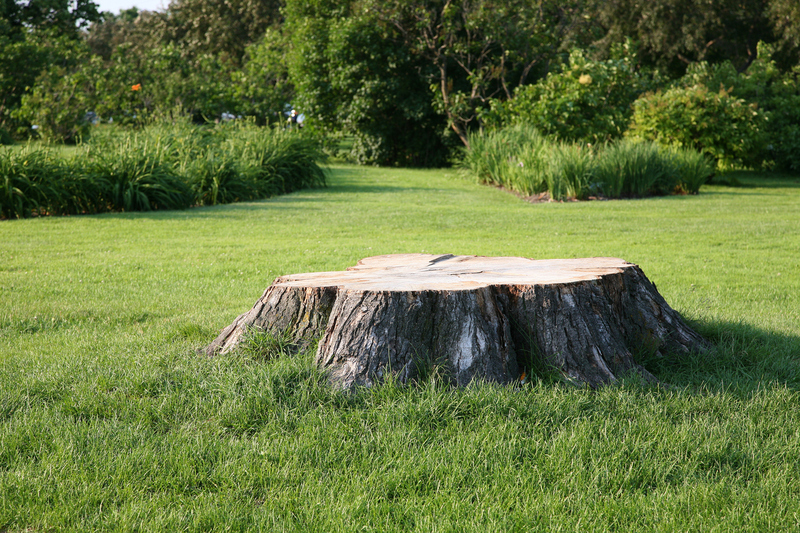 In addition to tree removal, our land clearing service also includes stump removal and stump grinding services. We will perform any size tree care job for any size home or business. With our latest tree maintenance tools, we will be able to raise your property value with minimal cost to you. Truly, no other Fort Smith, AR tree service firm beats our workmanship and professional know-how. Reach out to us when your Greenwood, AR landscape requires a comprehensive tree service. Overgrown tree branches can grow into and around utility lines. Trees that have developed to this size can cause fires and bring down power lines. Our professional arborist works fast & easy, safely removing and trimming these overgrown tree branches to prevent any of these dangers from presenting themselves. Tree limbs can grow over rooftops or fences, presenting an immediate risk to your Greenwood, AR home or business and anyone on or near the area. 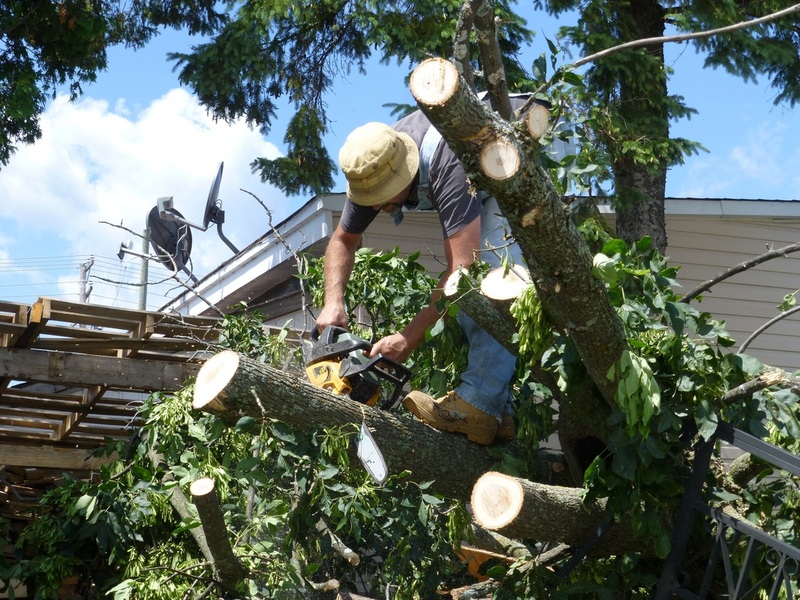 When you call us, our crew comes out and trims the limbs quickly, as well as providing cleanup service that leaves your outdoor space free of any debris. Just like weeds that have to be removed or trimmed down, trees also need to be trimmed to look better and to compliment the property it is a part of. Tree care is an art and skill that must be learned by experience and knowledge. If you are looking for a responsive and reliable Greenwood, AR tree maintenance business, Tree Care Fort Smith is ready to get started in meeting your needs. Whether your landscape is simple or elaborate, maintenance is the key to beauty. We have years of experience in the industry. Our Greenwood tree care company has grown tremendously and continues to do so as satisfied customers keep referring us to their family and friends. If you have trees on your residential or commercial property that are looking unkept, get them looking neat and even by using our tree care services. Our Greenwood arborists know how to trim trees to beautify your outdoor area. When you have straight and well-kept looking trees, they add attractiveness to your Greenwood, AR property. If it is time to get your trees professionally trimmed, consider Fort Smith Tree Care. Fort Smith Tree Care is a full-service tree maintenance and tree care company providing quality services to residential and commercial properties in the Van Buren, AR area. Our team delivers an element of excellence to every outdoor area we touch, interaction we have, and tree care project we complete. We have years of experience, and we rank as the top tree maintenance business in the industry. Whether you need a Van Buren arborist to maintain your outdoor area, or you need a Fort Smith tree care company to manage your property on a weekly basis, we have got you covered. With our tree services, our arborists turn imagination into reality. In fabricating a wonderful outdoor place for you, our aim is to create an area of eternal exquisiteness, using natural resources that fit your budget and aesthetic requests. Our guiding principle is to create distinctive projects in line with our clients’ needs. Our whole staff works together through every phase of a tree care project to ensure quality and accuracy. We design and build landscapes that improve with age. Your yard, large or small, reaches its full potential by partnering with our Van Buren, Arkansas tree care team. We work endlessly in developing long-lasting relationships with our customers. Our arborists fabricate an enriching environment for strengthen the soil and the soul. We work toward cultivating a bond with you and your land by creating a distinctive outdoor living space for you to enjoy for many years to come. If your existing lawn needs some rejuvenation, our professionals listen to your requests and considerations. From the tree trimming to stump removal, our crew uses innovative techniques to inspire a marvelously, exceptional landscape specifically created for you. Our staff takes great pride in their work, and this enthusiasm is transferred to our customers with each stunning landscape we construct. Call Us For Your Tree Care Needs! Since we have been in business, we have been clearing the way for greater possibilities. We are a hands-on Fort Smith tree care company whose expertise extends from shrub pruning to branch cutting. Any tree care specialist employed with us is well acquainted with OSHA, so your needs are carefully integrated with those of our environment. We have earned a remarkable reputation among Fort Smith residential and commercial property owners, and our objective is to continue to grow by providing complete customer satisfaction through careful planning, proper execution, and thorough follow up of all of our tree care services. If you need to get the trees, hedges, and shrubs on your property back into topnotch condition, turn to Fort Smith Tree Care .